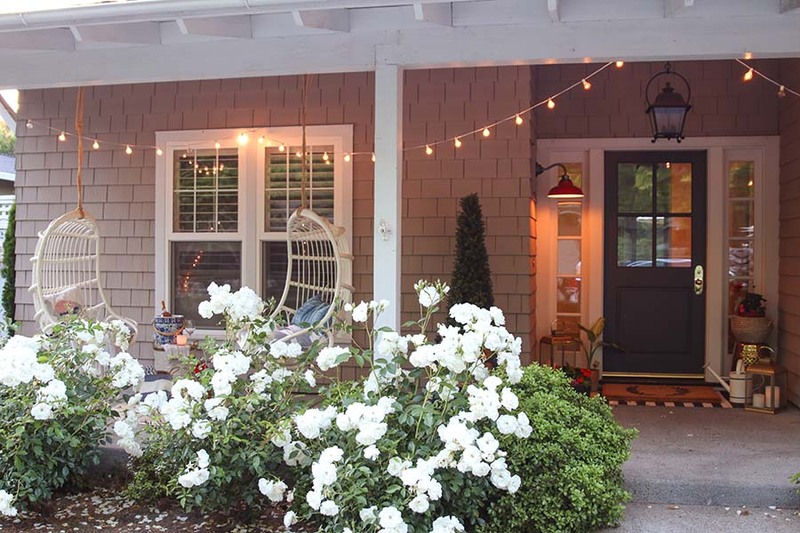 Here are my favorite front porch decorating ideas. 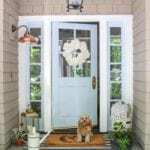 These tips and examples will give you 12 months of inspiration for decorating your porch and front door! 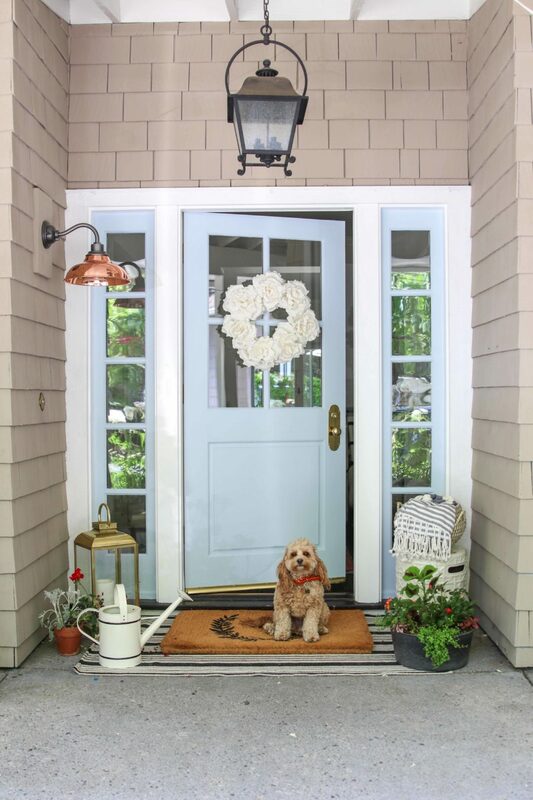 Decorating your front porch is a great way to add character and interest to your home. 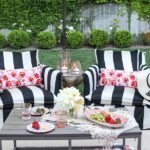 It is also fairly inexpensive and can be a simple update that you do monthly or just seasonally. I personally love to decorate my front porch. It is the part of my home that is seen most often and I love coming home and seeing a little bit of my personality infused into the front of my home. 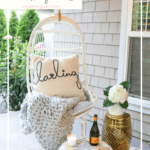 I have rounded up 12 months of front porch decorating ideas for you in one simple spot! 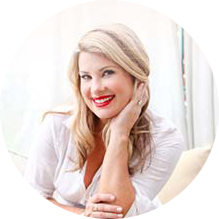 Plus, I am sharing my favorite tips to ensure your front porch looks it’s best in every season. I love to update my front porch for each season and sometimes I change it up every month. 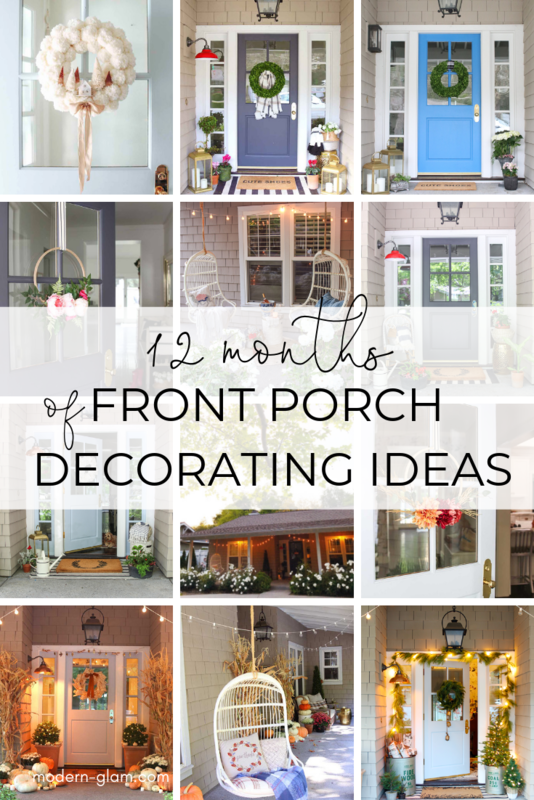 Wherever you are on the scale of decorating, here are 12 months of ideas for decorating your front porch! 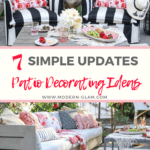 This doesn’t mean you need to update your porch every month or even every season! Do what you love. 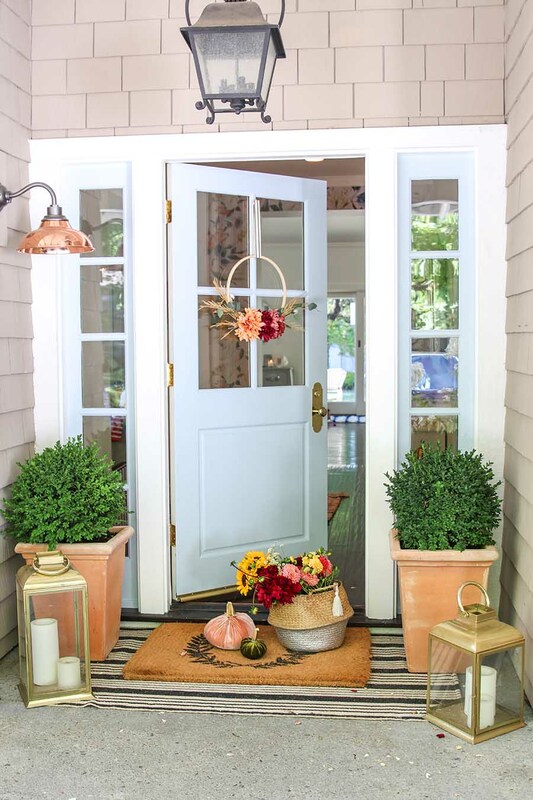 This is just a guide to finding some inspiration for decorating your front porch for any season. After the holidays are over, our porches can seem a little sad and dull. 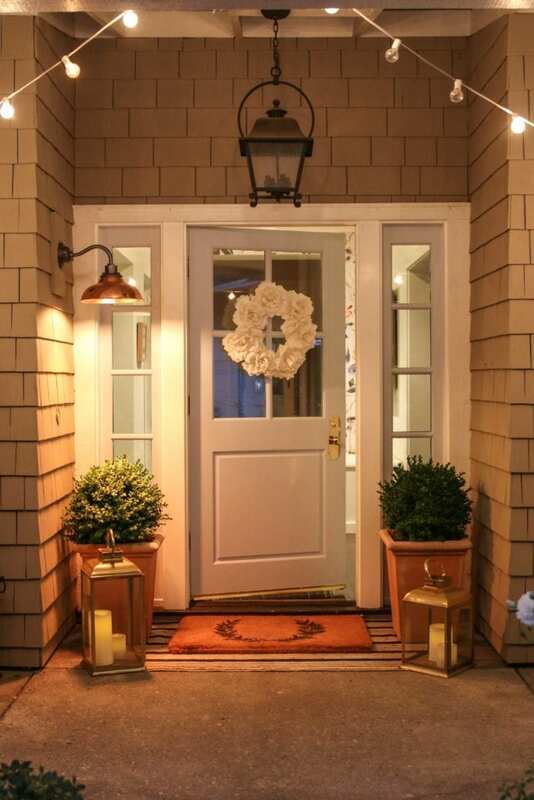 I like to leave the twinkle lights up a little longer and update the front door with a winter wreath. 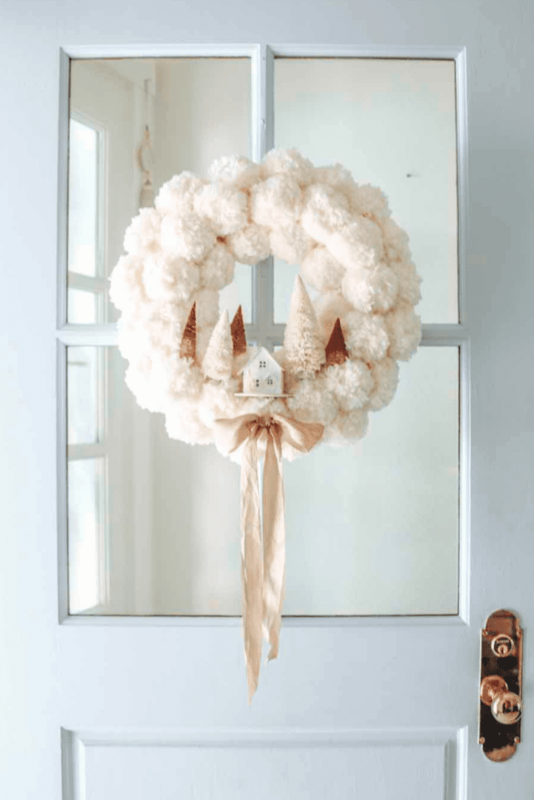 This Winter Pom Pom Wreath is easy to make and I love the neutral simplicity of it. 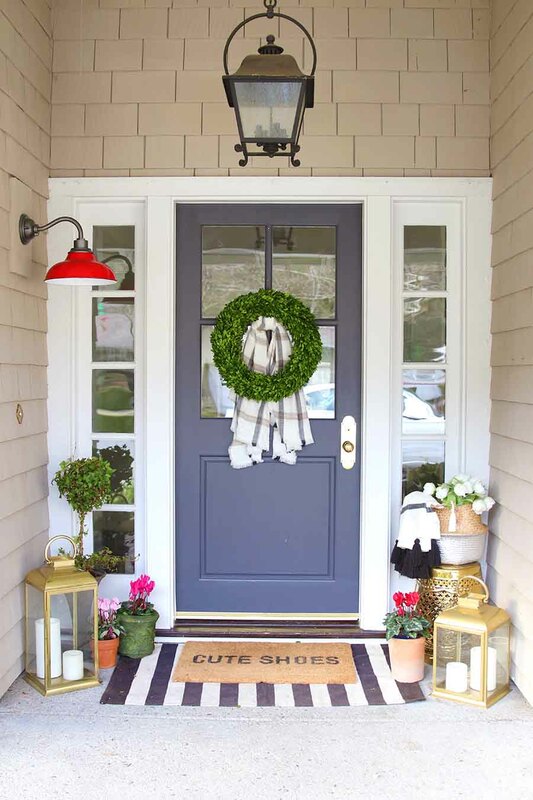 A winter scarf and preserved boxwood wreath add an instant cozy factor to this Valentine’s Day porch. Pops of pink and red are perfect for this time of year. They add life and interest to your winter porch! 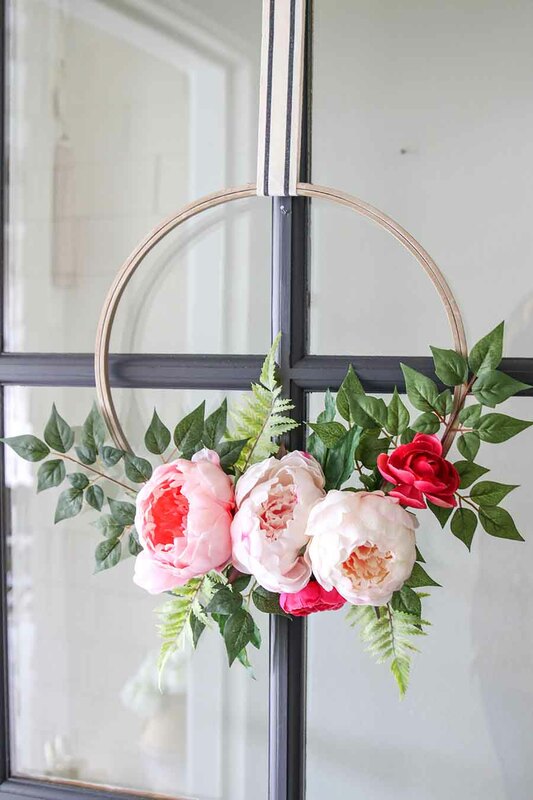 March is the start to Spring and what better way to update your front porch than with fresh flowers and an easy DIY floral hoop embroidery wreath! 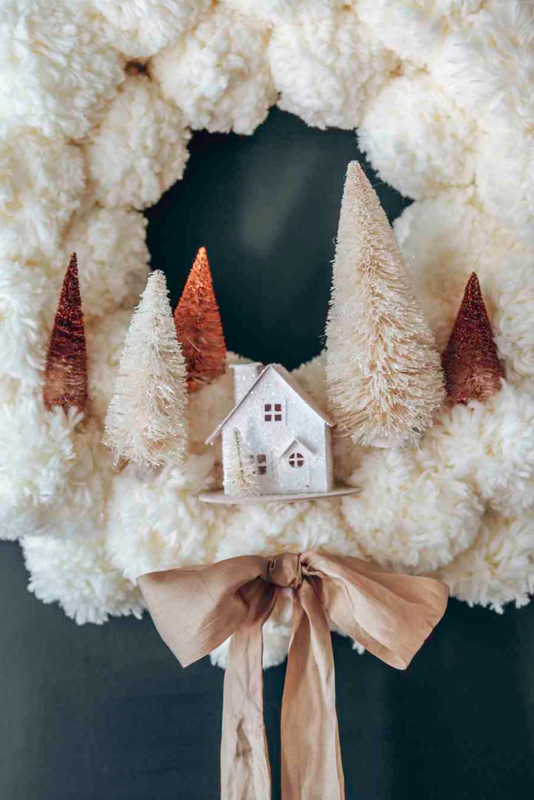 Sometimes the update for the month is as simple as switching out the wreath. You can see that the rest of the decor here has stayed the same from the month before. 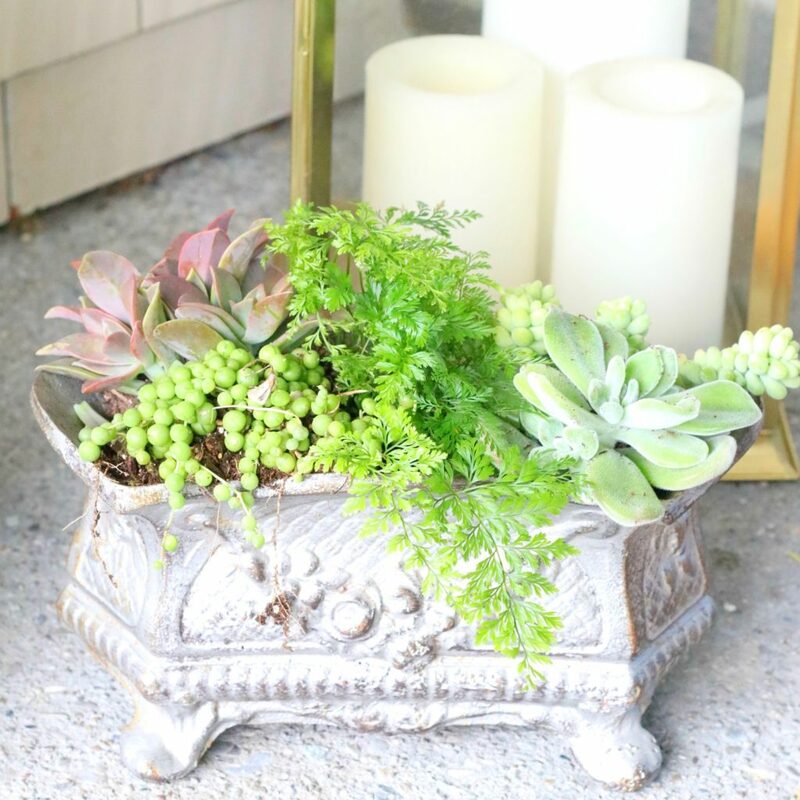 As the weather warms up, an easy way to update your front porch decor is with some fresh flowers and succulents. Be sure to read these tips for growing healthy and happy succulents. 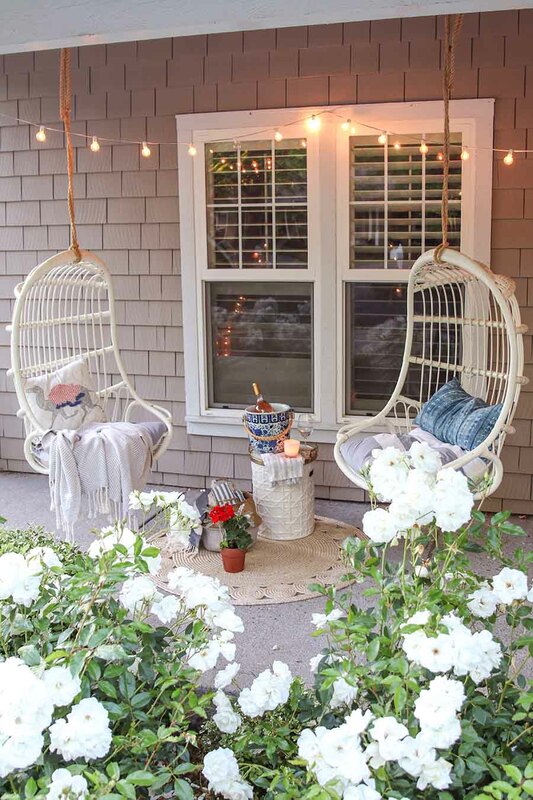 This is such an easy front porch decorating idea. Succulents will last through summer and are relatively easy to care for. I also like that they often don’t require direct sunlight, which any covered porch will not provide. April showers bring more flowers. Isn’t that how the saying goes? May is also when we start spending more time on our porch. 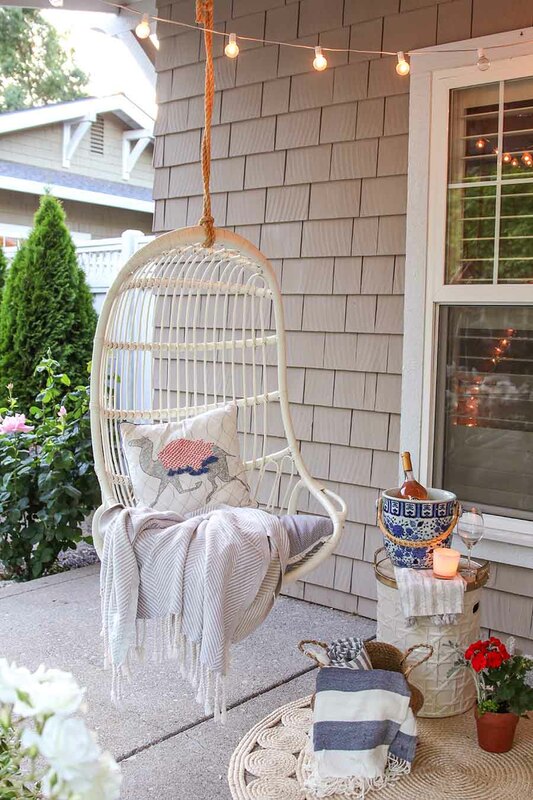 We love to create a seating area where our hanging chairs are. The perfect spot for happy hour! 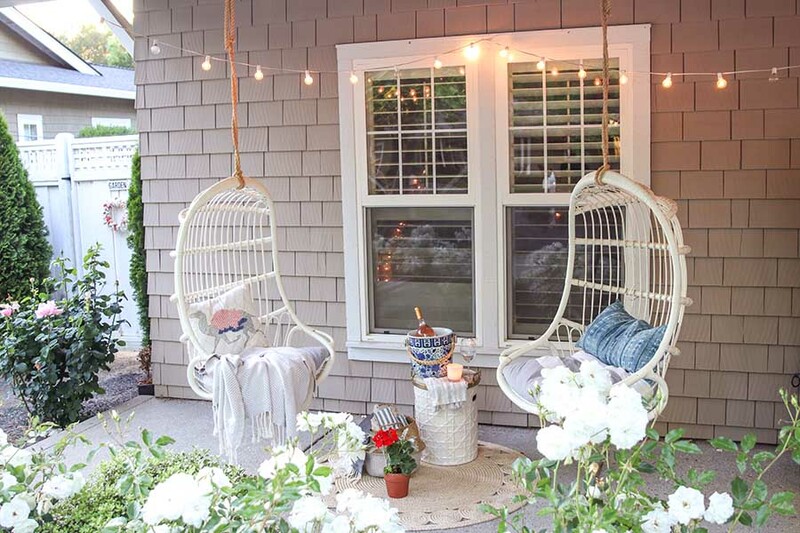 Check out more of this Summer Front Porch here. 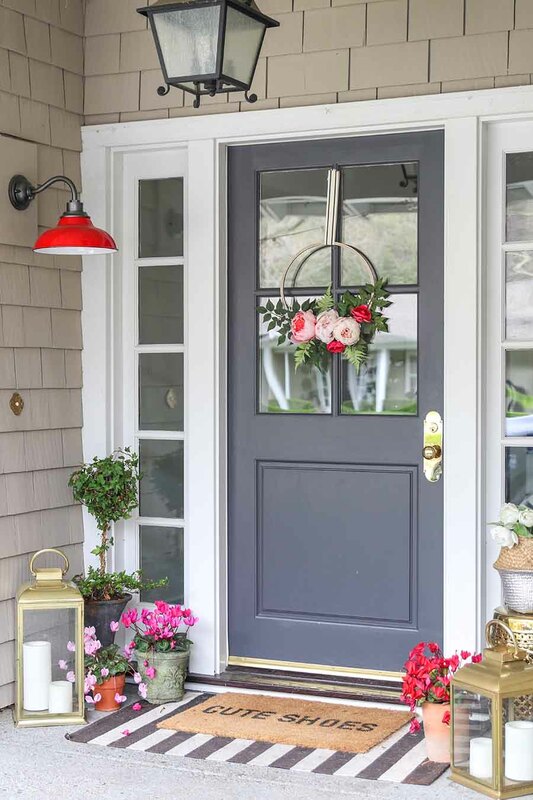 June means more flowers on my front porch and bold pops of red to brighten the decor. Also, be sure to check out my front doormat layering guide to see how to create that trendy look! 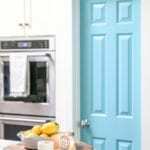 July is a great time to paint your front door a new color! The heat of the summer months actually help the paint dry quicker. 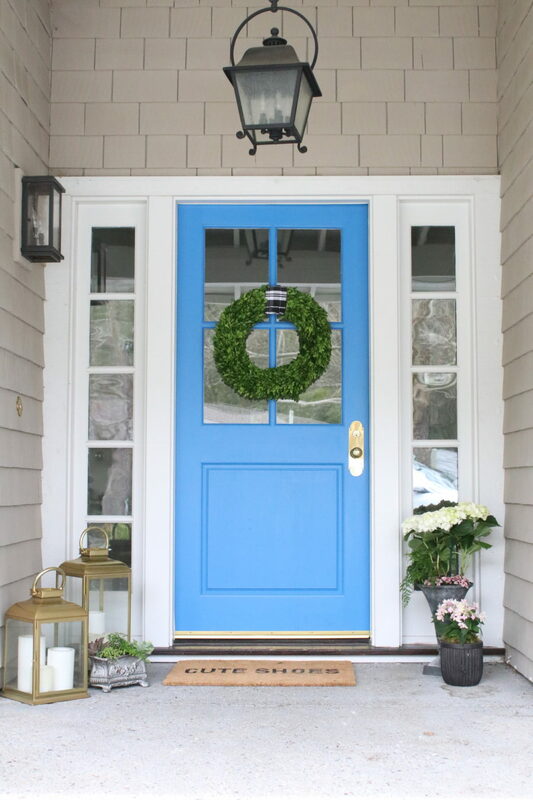 Check out my guide to Painting Your Front Door In One Afternoon and let me know if you try my easy tips! 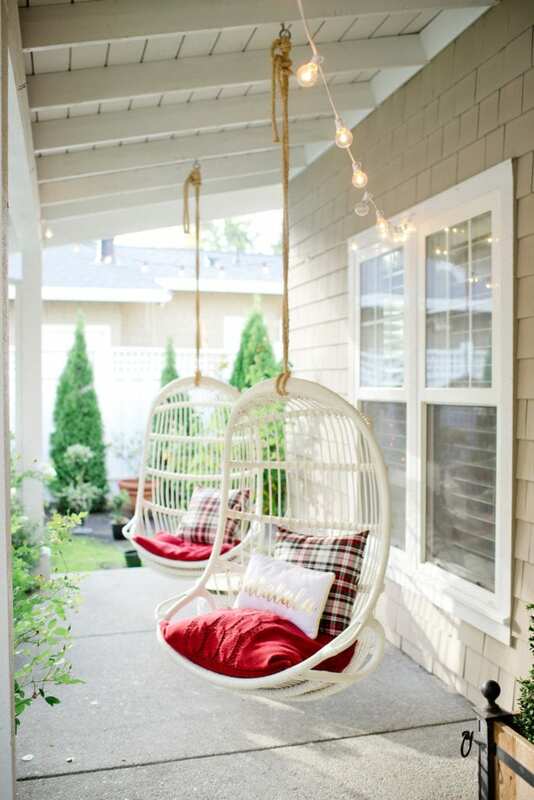 And summer is the perfect time to create a napping porch. Have you ever heard of one? My friend Rhonda has one that you have to see! Cozy Farmhouse Sleeping Porch Design. 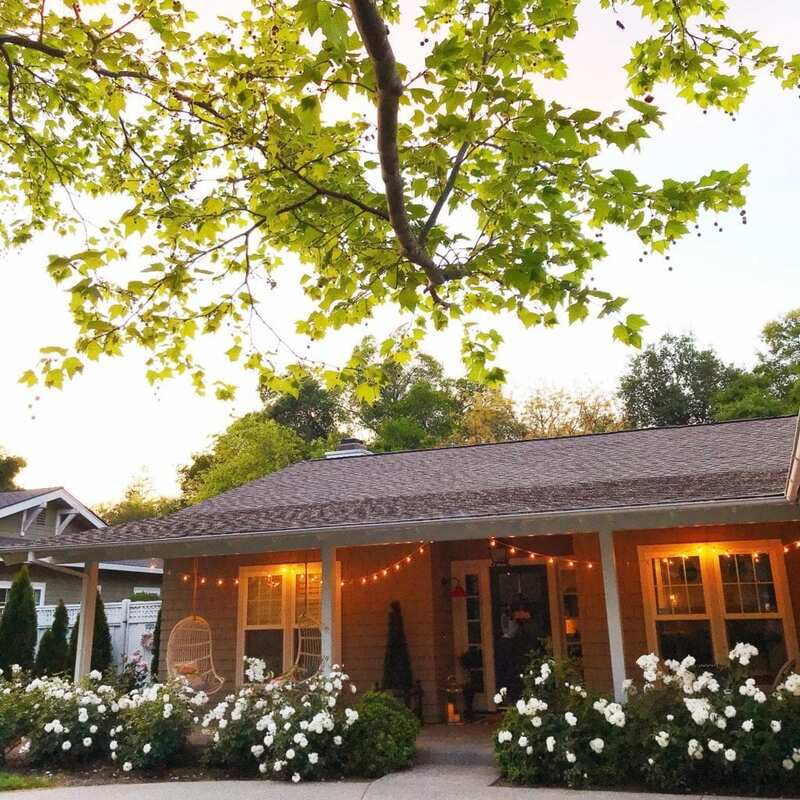 During the summer months, I love to add café lights to the outside of my home. Since the evenings are longer and we stay outside later, I love enjoying the glow. 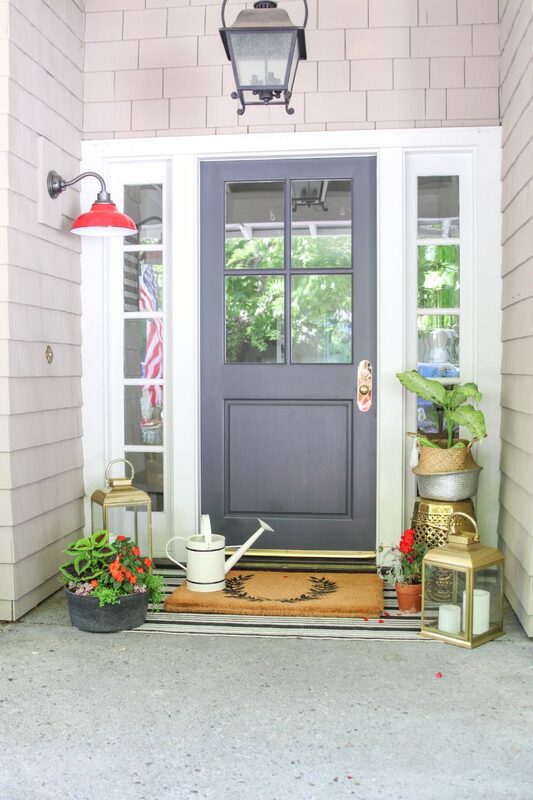 Check out more of this porch in my Full Home Tour! September is the start to my favorite season: fall! 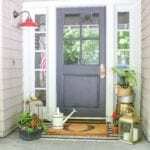 You can easily update your front porch for early fall without buying any pumpkins. 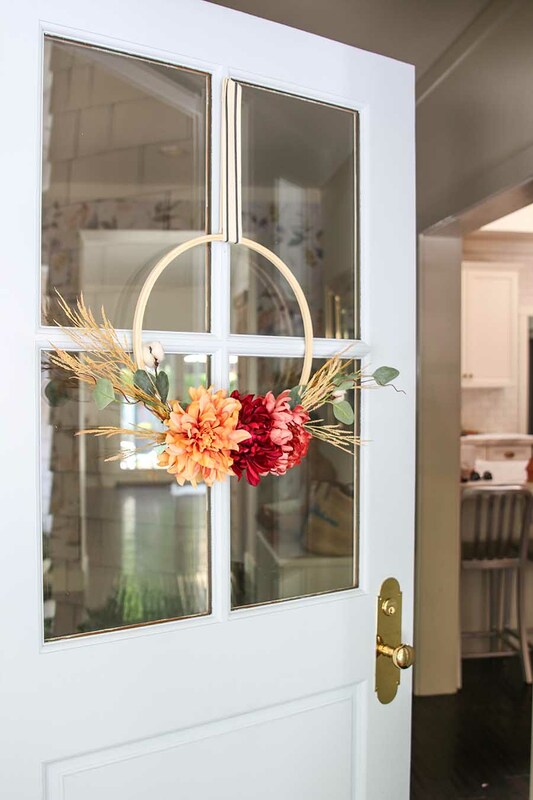 This simple Fall Floral Embroidery Hoop Wreath will last for years to come! 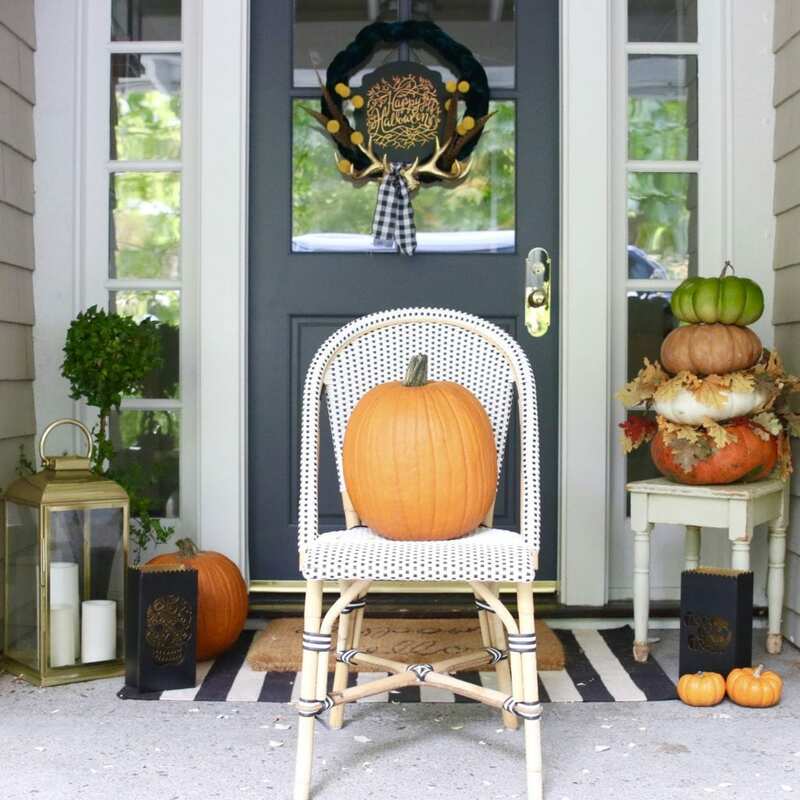 By October you can start decorating your front porch with pumpkins! This is my favorite time to go all out. This post from last fall was my most popular pin on Pinterest, and for good reason. 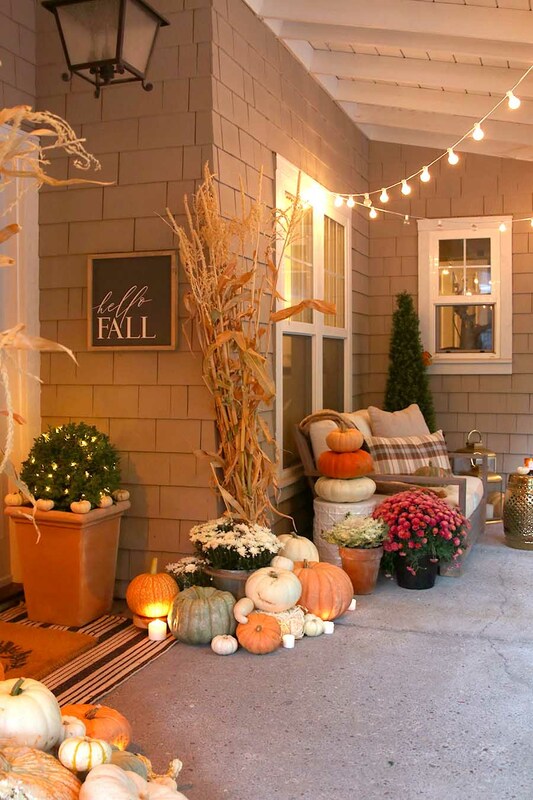 I just love this Neutral Fall Porch! And if you’re into more of a Halloween theme, my friend Janine has the cutest Halloween front porch with bats that is one of my favorites of all times! 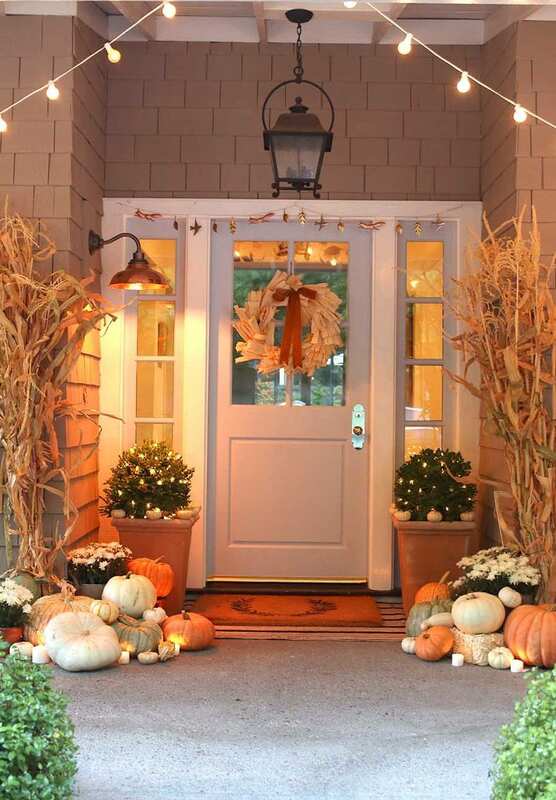 Do you decorate your porch for Halloween? I don’t know about you, but my neighbors would kill me if I started decorating the front porch for Christmas before Thanksgiving. So, I keep my pumpkins and fall decor out until December. 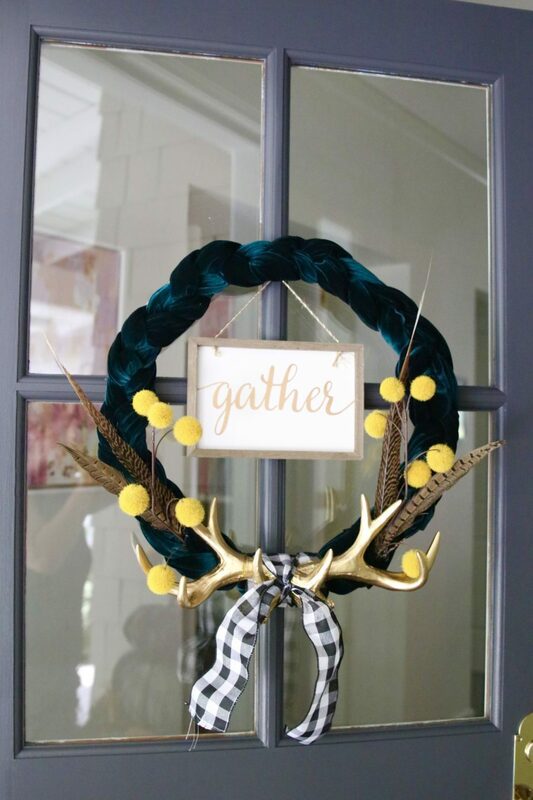 You may also enjoy this tutorial of how to make this Farmhouse Fall Wreath. 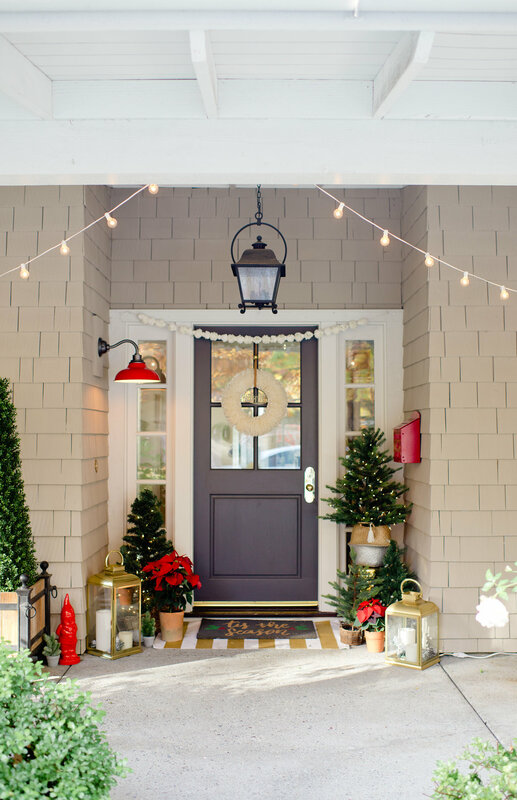 There are so many amazing front porch decorating ideas for the holidays! And it is definitely one of my favorite times of years to deck out my house! My Very Vintage Holiday Home Tour from 2017 included this tree-filled front porch. I loved the twinkly lights and pops of red! And this past year I chose a more farmhouse style for my front porch. I just love using those big globe lights outdoors. See the full details HERE. And even our hanging chairs get an update for the holidays.